Arsenal are well known for their patient passing play but 8, possibly 9, barren seasons without a trophy needs changing. Fast. It could all improve if they ditch their modern tactics. 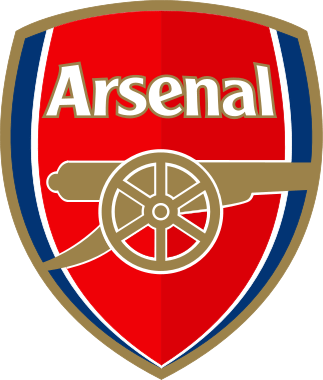 Following Wednesday’s 0-2 defeat to reigning European Champions Bayern Munich, the Gunners look all but out of this season’s competition which would see them fail to get past the last 16 for the fourth successive time. They haven’t got past the quarters in 5 years. What was highlighted most on Wednesday was how Arsenal were completely played off the park at their own game, at home, with Bayern having an astonishing 79% possession statistic. This wasn’t helped of course by Wojciech Szczesny’s dismissal on 37 minutes which forced Arsene Wenger to replace Spanish play-maker Santi Cazorla but Arsenal looked second best even before that. England’s best “Spanish Footballer” comes in the shape of Jack Wilshere but he was non-existent for the full 90 minutes while Mesut Ozil was his usual “passenger” self, looking uninterested for the whole game, even his crucial penalty was incredibly lazy. He missed. Ozil’s dip in form has led to him looking over his shoulder. This isn’t the first time Arsenal have been beaten by their own game, Barcelona did the same to them in 2011. One of the most worrying aspects of the modern Arsenal is Wenger’s decreasing tactical knowledge. Following Szczesny’s sending off, the Frenchman brought off Cazorla while the consistently average Ozil was kept on. Even worse, when 0-1 down with 15 minutes to play, Arsenal’s main, possibly only, attacking threat Alex Oxlade-Chamberlain was hauled off for the defensive minded Tomas Rosicky. Holding onto a loss at home is embarrassing enough, even when a man down. What’s more embarrassing however is when it doesn’t work, Thomas Muller made it 0-2 with two minutes remaining. Should Wenger have kept “The Ox” and Cazorla on, Arsenal would have possibly created more chances with Cazorla’s passing followed by Oxlade-Chamberlain’s powerful jinking runs, but there was none of that, Arsenal stepped off Bayern and allowed them to pass them to death. The argument that this would have left Arsenal more open defensively is a valid one, however Chelsea proved in 2012 that it can be done when they earned their hugely impressive 2-2 draw over Barcelona at the Nou Camp, and that was with ten men following John Terry’s clumsy challenge. Wenger’s tactical failings also apply to his forward line. Promising striker Yaya Sanogo looked isolated for large periods of the Munich match however he won most, if not every header. This suggests that the France Under 21 International would benefit from a striking partner, something Arsenal don’t use. Sanogo could use his strength and heading ability to knock balls down to his partner, possibly Olivier Giroud or a new acquisition, and even grab the odd goal himself as he does get in the right areas but lacks the decisive finishing touch at this stage. Where Chelsea’s formation, which is exactly the same as Arsenal’s, succeeds is that they have better goal scoring midfielders in the shape of Eden Hazard, Oscar, Willian, formerly Juan Mata and occasionally Ramires. These get on the score sheet enough times that the limited scoring ability of Fernando Torres, Samuel Eto’o and Demba Ba isn’t too much of a problem. Whereas Cazorla, Ozil, and Oxlade-Chamberlain have 10 league goals between them. Hazard boasts 12 on his own. This season has been a lot better for Arsenal, the double is still realistically on the cards in theory. Where they struggle however is overcoming the big teams. Their league results against last season’s top 4 are a 6-3 away loss to Manchester City, a 0-0 draw at home to Chelsea, and an away loss and home draw against a below par Manchester United team. Not forgetting a 5-1 thumping away to Liverpool. The Gunners have a tough end to March with Tottenham away followed by a trip to Chelsea before finishing at Manchester City at home. February’s fixture list has been cruel to Arsenal with that Liverpool loss and the home draw against Manchester United joining an FA Cup and Champions League tie. If they end March where they are now they’ll still be in the title race but given this season’s record against the top sides it looks doubtful. The FA Cup is realistic after they eliminated Liverpool to reach the quarters but they meet Everton which is not an easy prospect. Arsenal will be boosted by Chelsea and Man United’s elimination but Man City are clear favourites to lift the trophy and carry on Arsenal’s long wait for silverware where it all looked so promising just few months ago.